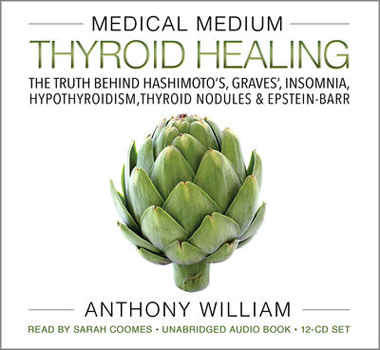 In Medical Medium Thyroid Healing, Anthony William , the Medical Medium, reveals an entirely new take on the epidemic of thyroid illness. Empowering readers to become their own thyroid experts, he explains in detail what the source problem really is, including what's going on with inflammation and autoimmune disease, then offers a life-changing toolkit to rescue the thyroid and bring readers back to health and vitality. It's an approach unlike any other, and as his millions of fans and followers will tell you, it's the approach that gets results. Includes photos and recipes.